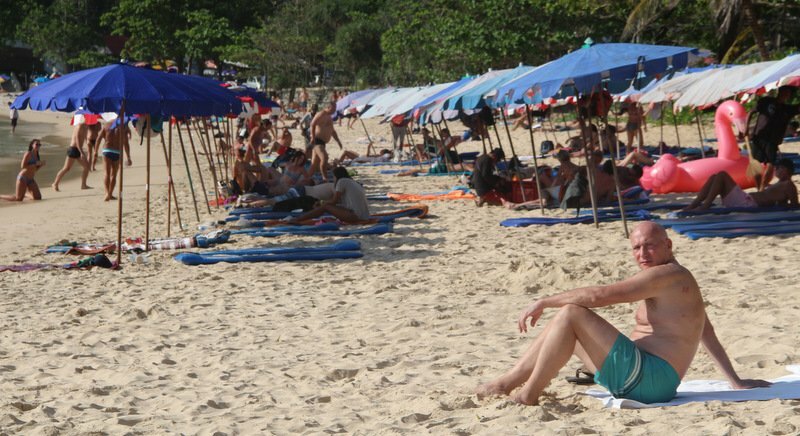 PHUKET: Russian tourist arrivals to Thailand have continued to rebound in 2017 as the Russian ruble stays stable compared with other world currencies, including the Thai baht. In short, Russia’s long recession is officially over, reports Bloomberg. To this, the Tourism Authority of Thailand (TAT) office in Moscow does not expect Russian arrivals to the Kingdom to decrease after the success of 2016. Last year Thailand welcomed more than one million tourists from Thailand’s burgeoning on limited to zero competition from Turkey and Egypt, two other top destinations for Russian tourists. Currently Turkey is actively luring Russians again and a ban on flights to Egypt can also be lifted at some stage, but Russian arrivals to Thailand are continuing to grow despite an even more competitive environment. “Egypt and Thailand have never been direct competitors. They are in different niches, offer different tourism products, distances [for travellers] are also different,” said Konstantin Kinel, head of marketing at TAT Moscow. “The growth of Russian tourist arrivals to Thailand depends more on the economic situation in Russia, depends more on rate of the ruble to major world currencies. Right now the number of tourists is growing. In January-February we recorded growth of 33%,” Mr Kinel said in an interview for Vestnik ATOR, a Russian online publication for tourism and hospitality professionals. According to Thai Department of Tourism records, January-February 2016 saw 248,947 arrivals to Thailand from Russia. Talking to Vestnik ATOR, Mr Kinel projected at least one million tourist arrivals from Russia in 2017, providing the economic situation in the country remains favourable. Mr Kinel believes Thailand has huge potential in the Russian travel market and Russian travellers have not fulfilled all the potential of the Kingdom’s tourist destinations. To support arrivals growth, the TAT is planning to continue close cooperation with Russian tour companies, including financial and marketing support. In 2017, the TAT also aims to promote various spheres of niche tourism, including segments such as sports, weddings and honeymoons, health and recreation, active and luxury tourism. The TAT will also promote family tourism, which is the key segment in the Russian market. Thai tourism authorities would like to lure more Russian families to the Eastern Seaboard. Russian travel powerhouses – Anex Tour, Coral Travel, Pegas Touristik and Biblio Globus – already announced plans to keep reasonable numbers of charter flights to Thailand during the green season (May-Oct), thus providing one of the key foundations for affordable tours throughout the year. As Mr Kinel noted, active charter programs by key travel agencies were one of the crucial factors behind the growth in Russian arrivals during high season. “There will be enough transportation options for every budget,” Mr Kinel said. According to TAT statistics, last year more Russians travelled to Thailand during the green season than before. “We analyse the structure of tourist flow throughout the year. During winter months, thanks to charter flights, there are more organised group tours. In summer – a little less: due to visa exemptions, more independent Russian tourists go to Thailand. In 2016 some 68% of Russian tourists visited Thailand in winter and 32% in summer, which is very good. In 2015 the distribution rate was 90% versus 10%, respectively,” Mr Kinel said. In January-December 2016 there were more than one million Russian arrivals to Thailand. Some 51% of those arrived chose Phuket as their holiday destination.